Our long lasting cooperation with Mr. Evgenis Chamilothoris, Managing director of Barbarossa Paros, continues this year with the aesthetic renewal and technical upgrading of its website. 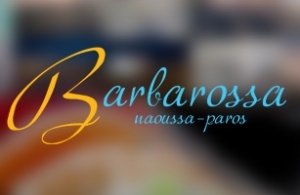 Staying focused on company’s philosophy, we have maintained the basic structure, giving some information about the restaurant / bar / cafe Barbarossa Paros. The new look, in the form of scrolling site, presents menus of the restaurant, lists of wines and cocktails of the bar, and the varieties of coffee, soft drinks and juices offered by the café. The new website is designed and developed, based on the principles of Responsive Design, so that anyone can easily navigate to the website, regardless of the device he uses. Finally, we enriched the photo gallery of Barbarossa with numerous photos of its activities (restaurant, bar, café, event planning). For the development of the said website, we used the latest version of Joomla, with all its essential elements such as K2 component, and K2 responsive scroller, as well as customized modules where necessary. Intros.gr implemented all the techniques for search engine optimization for the website. We also, consulted Barbarossa on the content of the site in order to achieve an optimal rating in S.E.O. In intros.gr we believe that the renewal of your website, it is necessary to stay fresh in the minds of your customers. So do not hesitate to request a quote for renewal and your own website or contact us for any questions.